There are many valid reasons why someone would like to transfer money from Paypal to Skrill account. Top most concern is, suppose your recipients may want funds into their Skrill account because they don’t have a convenient way of withdrawing from Paypal account and another reason is few sort of services that are offered by Skrill are not available on Paypal. For instance in United States, Paypal will take at least of 2 to 5 business days to get money transfered from Paypal. Yet, I can send money instantly from my Skrill account to my bank account. 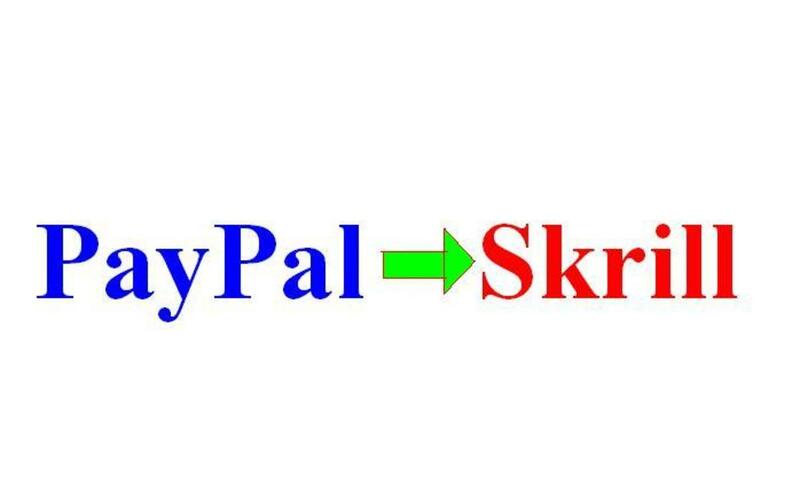 Unfortunately, there is no direct method of sending money from Paypal to a Skrill account. However only ExchangePurse has made such exchange to be possible. Yes you read it correct with ExchangePurse you can now easily exchange your funds from one to another through our AEP, also as of now our AEP is only available in few countries but we're still trying our level best to provide our AEP to all over the world till then a user can use our MEP to transfer their money from Paypal to Skrill. Also in this article we've highlighted few other method to exchange money from Paypal to Skrill account. Read till the end to know each and every prospect. For this method, you need to look for someone well known to you who have a Skrill balance. Then you can ask them to send money from their Skrill account to your Skrill account, and in return you've to send them the exact amount from your Paypal account to their Paypal account. Finding such matches may not always be possible because you need to look for somebody who frequently receives money into their Skrill account from some other source. This is one of the safest, secure & simple procedure for those who are able to transfer money from Paypal to a bank account. Depending on your bank account and country, because few countries does not support withdrawal from Paypal and in few countries it can take up-to 5 days for withdrawal. When the money reflects into your bank account, you can easily upload it to your Skrill account through Debit Card, or send it to your intended recipient. You must have to link your Skrill account with bank account. This procedure is not available for every user as Paypal does not support banking partners from all over the world. When withdrawing money from Paypal account to your bank account is possible, such possibilities still remains in a nightmare to many people outside the United States. Many people still have to wait up-to 8 working days for the cash to reflect into their bank accounts. However with a virtual U.S bank account, you can be able to withdraw your cash from US companies just like a citizen of USA. As per our experience and research money from Paypal account will take almost 48 hours during weekdays to reflect into your virtual bank account and instantly from the debit card. This process may take a while longer during the weekends or US holidays. One such company that offers a U.S payment service is Payoneer. Registration is free and they will not ask you for money until you receive your debit MasterCard® card via ordinary email. They may charge you one-time activation fee. While transferring the money, you need to send money with their charges and in some cases the charges will get auto deducted before it will arrive in your other account. Their charges are in the range of 1%-15%, depending on the website. Some websites will make an instant exchange like ExchangePurse, while few can take up-to 24 hours. Usually, there is a minimum and a maximum amount which can be exchange, normally $50. Disclaimer: These procedures are from best of our knowledge, and the best we can recommend is our well known ExchangePurse because here we can take responsibility publicly in any misshapen. Thank You for reading this article, If you've more suggestion about this article please write us to contact@exchangepurse.com. We'll be happy to add few more secure procedure for you. Tags: exchangepursecom, paypal, skrill, paypal to skrill exchange, oneplus solution inc.